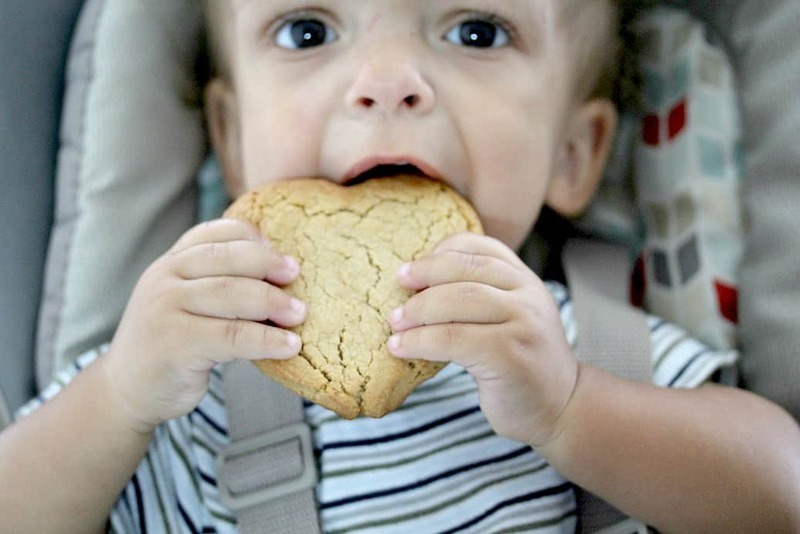 Your toddler will love these Homemade Peanut Butter Teething Cookies! With school back in session, I’m all about quick, easy, and good-for-us food! That includes Benjamin too, of course! Technically, at the ripe old age of 15 months, he’s now considered a toddler. An active, happy, toddler who seems to want to eat or drink non-stop at the moment, even though he’s teething like crazy! Possibly because of Benjamin’s diagnosis of a form of dwarfism, he refused to eat from a spoon for quite some time and gagged on anything solid. Sometimes, he still does. His speech therapist thinks that it could be due to him not having as much room due to average sized tonsils and adenoids in his smaller than average sized mouth. He’s getting better every day, but now he’s teething and I’ve had to get even more creative with how and what I feed him. Before school started back up, I could sit him in his highchair and allow him to take 30 or more minutes to eat. Now that we are back in our crazy busy back-to-school routine, we just don’t have that kind of time in the morning. Peanut butter is one of Benjamin’s favorite foods and I can get him to eat almost anything if there is peanut butter on it or in it. 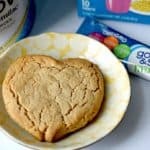 I decided to create these Homemade Peanut Butter Teething Cookies with Go & Grow by Similac® Mix-Ins™. He can chew on them and they just get mushy, rather than break off in chunks that he can’t quite tolerate yet. They are easy to take along when we are walking his brother to his bus stop. They make a great afternoon snack as well! 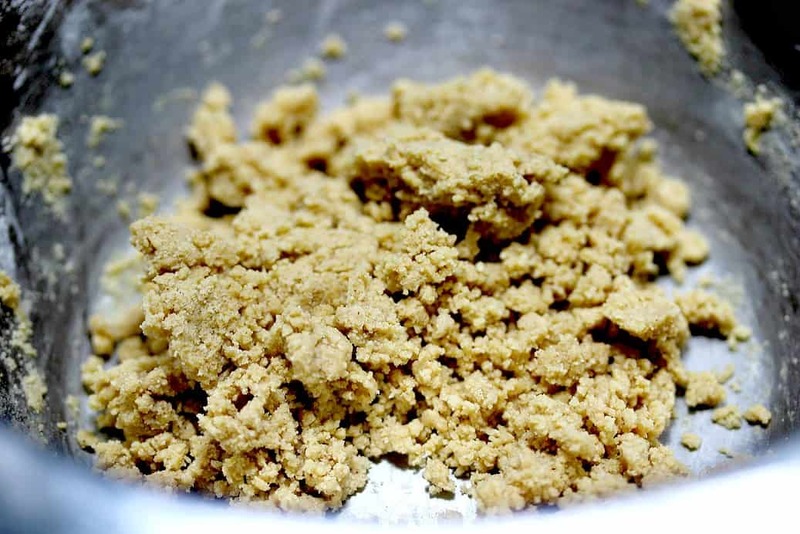 The dough starts off crumbly. Add water slowly until it just comes together. ..and we sometimes make a heart shape! The cookies are so quick and easy to make that I just bake one at a time as I need them. Mixing the batter together takes a few minutes and baking them takes about 6-7 minutes. I can have a fresh cookie made and cooling before the boys even wake up in the morning. That’s one less thing to try to get done while we are rushing through our back-to-school morning routine! 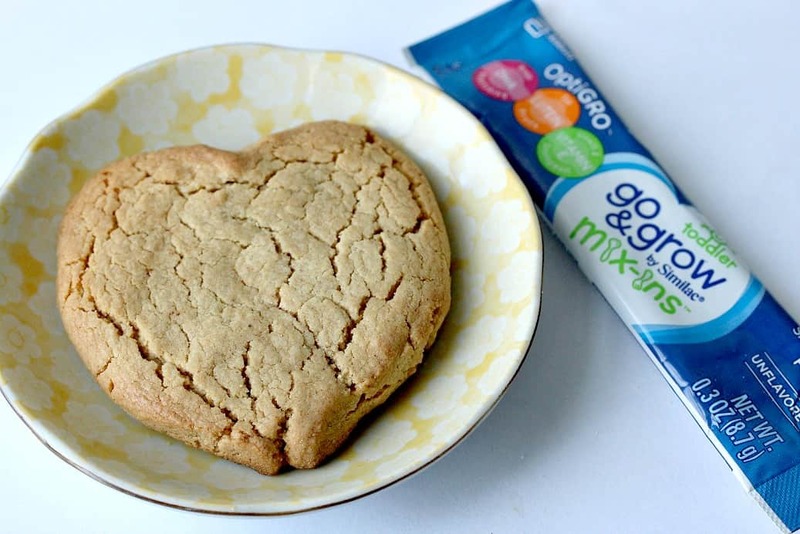 To help Benjamin get more of his nutritional needs met, I use one packet of Go & Grow by Similac® Mix-Ins™ per cookie and only give him 1-2 cookies per day. 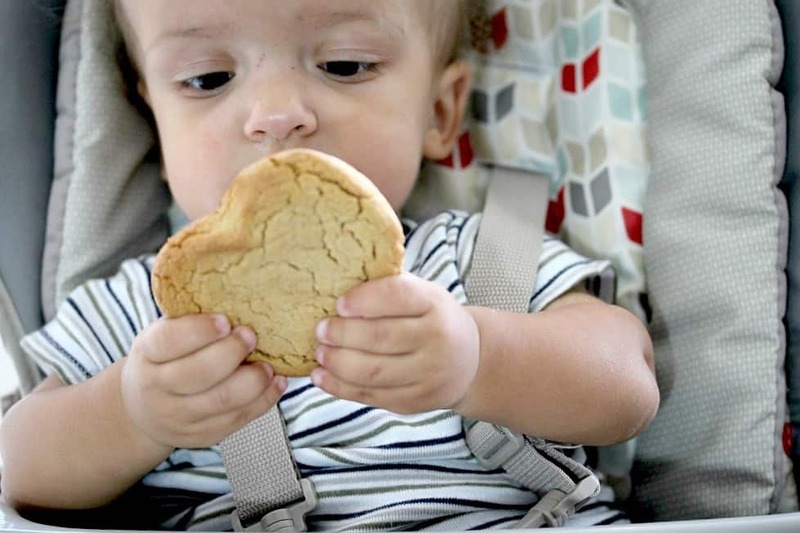 Each single serving packet provides nutrients to support growth and development as babies become toddlers. They are the perfect secret weapon for moms to help their children get added nutrition! You just use one packet of Go & Grow by Similac® Mix-Ins™ for one serving of food (or 1/2 cup of food). They are designed to be mixed into food (not liquids) and don’t impact the texture of the food. Just be aware, they are only for children 1 year and older so please don’t use this recipe until your child is at least one-year-old. This recipe is also not suitable for children with known allergies to peanuts and/or wheat. Benjamin is making progress every day towards being able to eat solid food. 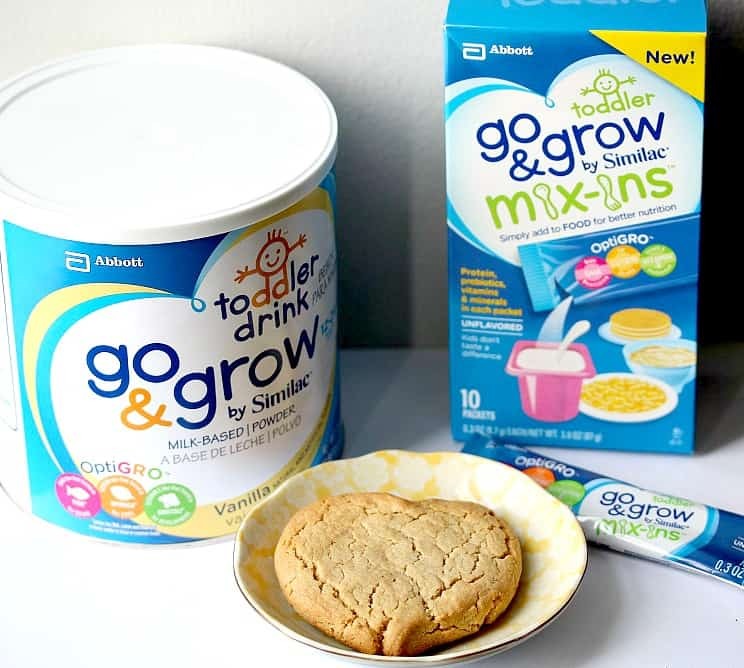 I still plan to use the Go & Grow by Similac® Mix-Ins™ as well as Go & Grow by Similac® Milk Based Powder (which you do mix with water and serve as a drink). Both contain OptiGRO™ to support brain, eye, and physical development – all so important for every child! I also really love how easy both are to take with us since we are always on the go. Our back-to-school morning routine has been going smoother than I could have imagined! Grab a box, make these Homemade Peanut Butter Teething Cookies for your little ones, and let me know how it goes!! In a small bowl mash together the flour, peanut butter, Go & Grow by Similac® Mix-Ins™ (Use one packet of Go & Grow by Similac® Mix-Ins™ for one serving (or ½ cup of food) and the coconut oil. Slowly add the water until a sticky, but workable dough forms. You may need slightly more or slightly less water. 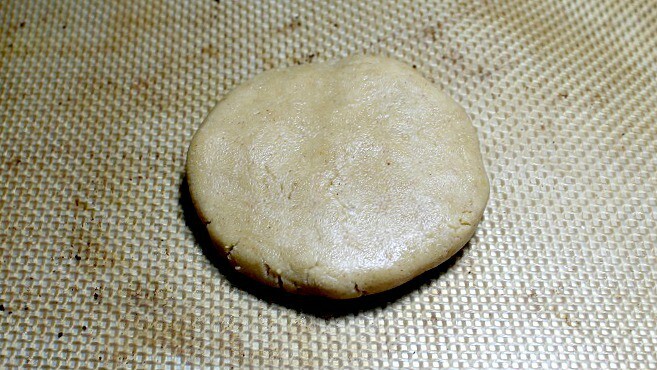 On parchment paper or a Silpat mat, form the dough into desired shape about 1/2" thick. Bake 6-7 minutes or until dark and firm. Let cool completely before serving. This recipe is for children age one and older only. Do not give these cookies to babies under age one and never leave child unattended while eating, due to the potential choking hazard. This recipe contains peanuts and wheat. Only give these cookies to children who do not have allergies to peanuts or wheat. These are perfect for those little ones who are so miserable teething. Going to make these for the grandkids. What a great recipe for children! And I love the idea of introducing peanut butter at an yearly age. So perfect for little hands and little teeth! Passing this along to my neighbor! Such a good idea for teething! Love this! Love the heart shaped cookie! It’sso easy to whip up in no time ! This is a great idea for a snack for toddlers!